Owning a horse will bring you years of joy, but it's also a big responsibility. You will need to make arrangements for food and boarding and learn about all of the aspects of basic care. 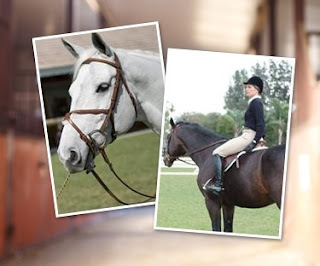 Here are some helpful tips to keep your horse safe, healthy and happy. Even if you're planning to board your horse at a facility that provides full care, you should understand the basics of good nutrition for your horse. Horses naturally like to graze, and in an open outdoor environment they will happily graze in the field all day. Horses that are stalled most of the time and fed several feedings of grains and feeds each day are more likely to develop digestive problems. To reduce the risk of an upset stomach or colic, it's best to feed your horse small meals. This will keep healthy bacteria in the stomach for proper digestion. * Feed Small Meals Often – In a natural outdoor environment, horses graze all day, so they eat small amounts throughout the day. By feeding your horse several small feeds per day rather than one large feed, you will reduce the chance of colic. Small feeds will maintain healthy bacteria levels necessary for digestion. * Feed Hay Before Grain – If your horse is bored and very hungry, he is likely to eat his grain quickly. By feeding him hay first, it will give your horse something to do and prevent excessive hunger. When he gets to his grain, he will eat slower and digest his feed properly. This will help to prevent the chance of digestive problems. If your horse is young or elderly, it's important to keep an eye on his diet to make sure he's getting proper nutrition. Young horses often have special nutritional needs to ensure proper growth, and elderly horses often have problems digesting their feed. Elderly horses often develop nutritional deficiencies that impact their weight, coat, and general health. Whether you're boarding your horse at a full-care boarding facility or at home, you should know grooming basics. A regular grooming routine will keep your horse healthy and give you time to build a special bond with your horse. Each time you groom your horse you have the perfect opportunity to assess his general health, examine him for injuries, and catch any minor problems before they become major problems. For more information on proper grooming techniques and grooming equipment that you'll need, click here.